You know about vocabulary lists, flashcards and pronunciation guides, but sometimes there’s more at stake than just knowing the language. In this article, you’ll learn about the hidden ingredient you need for avoiding misunderstandings (even offence!) worldwide. Got a whole bucket list of languages to learn, and no hope of ever getting it all done? Fear not! Here are some simple ways to help you streamline that list and re-focus on learning what you need without distraction. Welcome to my latest language learning update through #clearthelist, which is a language learning round-up sharing monthly language learning goals, support, and accountability. The latest episode of the Fluent Show brings you our seasonal list of top tools for language learners. PLUS: 3 events not to miss this season. How cool would it be if you could find real life language lovers to meet up with, learn languages together, perhaps even go to class or see a show in another language? Heck yes! 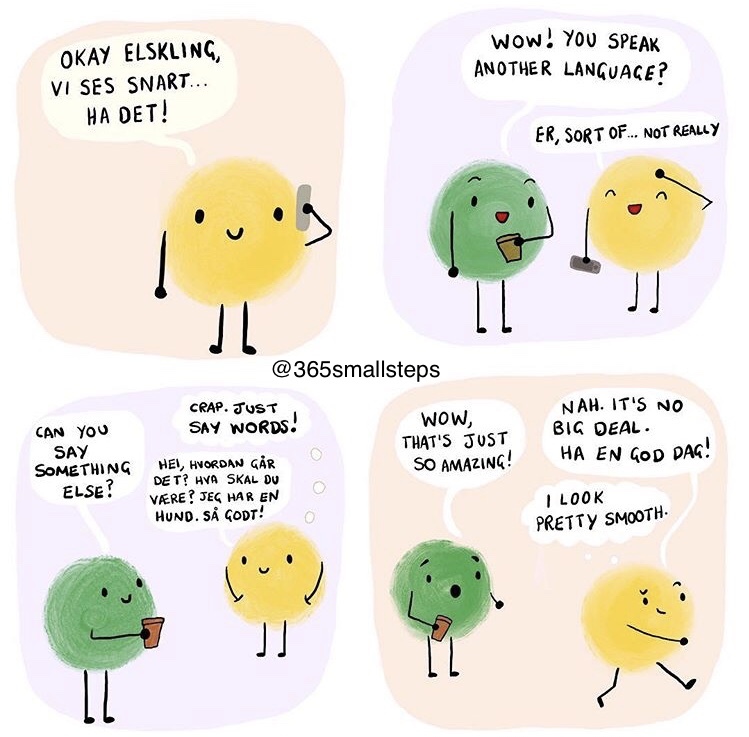 In this article, get few practical tips to help you reach out and connect with your new language squad IRL. 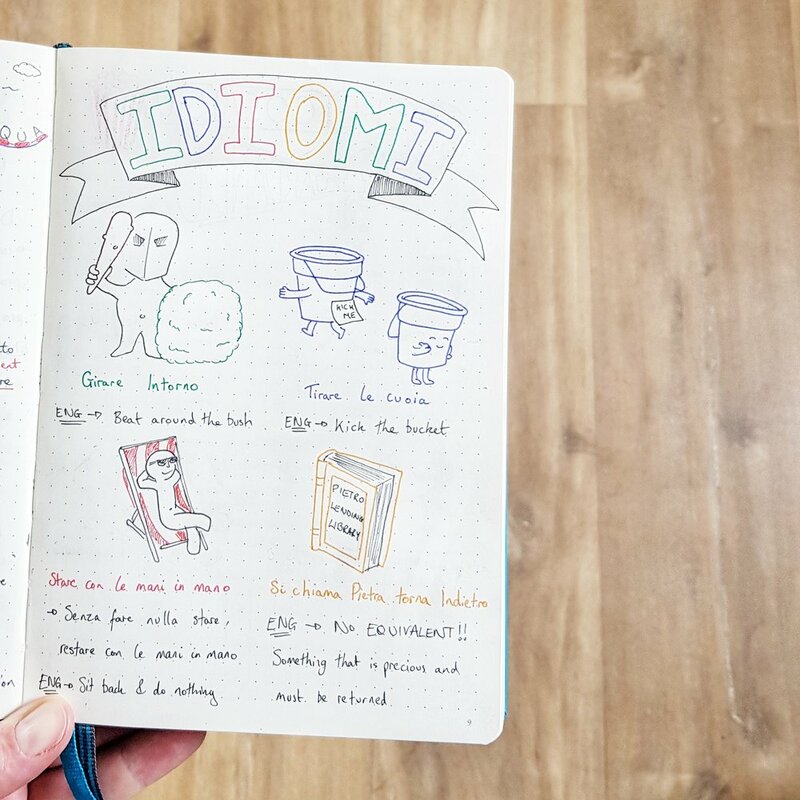 What if you had a language learning tool that costs you hardly anything, adapts to your own preferences, boosts your memory and helps concentration? Turns out you do, and it's probably in your bag right now: Your notebook! Today on the podcast I'm joined by language lovers Kathryn and Sam who are passionate about taking fantastic language notes. 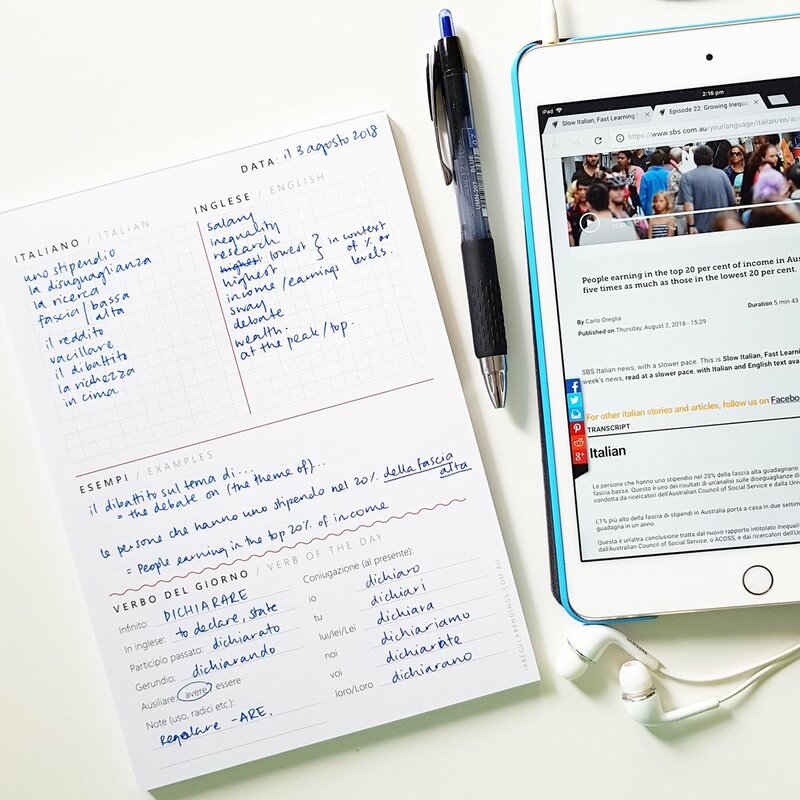 Listen to discover their experiences, language learning tips and strategies for effective note taking. This episode of the show is sponsored by LiveLingua (click for a free lesson), the best place to connect to your new favourite Skype teacher. 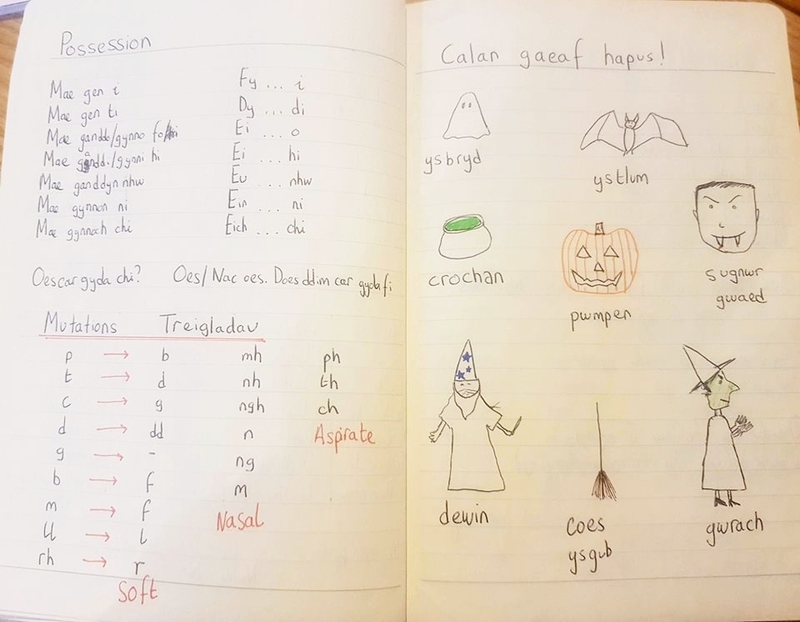 There are so many huge benefits to keeping a language learning notebook, from the brain science aspects all the way to mindfulness and wellbeing. 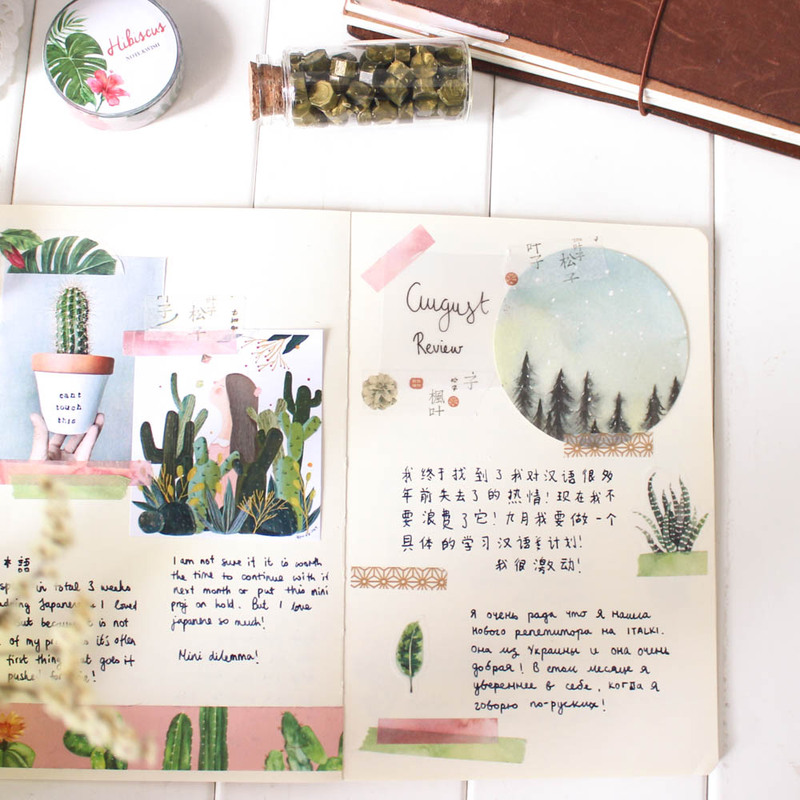 Language learning notebooks are a completely blank canvas where you can design the textbook of your dreams. You control the layout and the content, and get to create what makes sense to you. 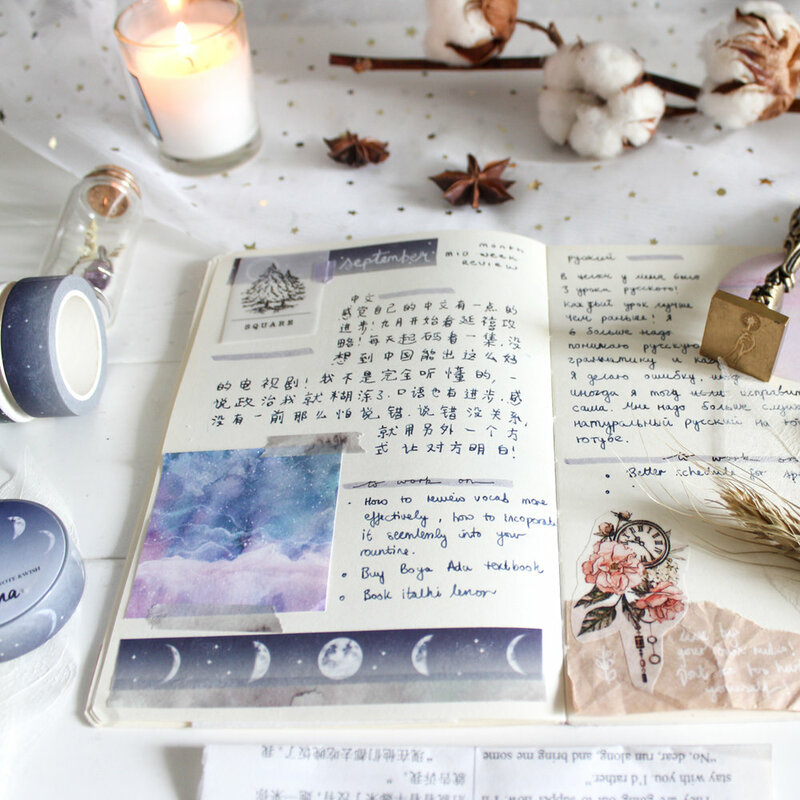 Writing in a notebook means you are expressing concepts and sentences in a way that makes sense to you personally. It automatically helps organise what you are learning. Sam mentions that he selects what he finds most helpful and important from podcasts, YouTube videos and online lessons so he can curate his own version of a personal textbook. When you write your notes by hand, you become better at remembering them. The act of writing, perhaps even colouring or illustrating your note is an in-depth repetition of what you’re learning. Add to that the personal connection as you write what is meaningful to you, and the increased repetitions as you look back over your notebook, and what you have created is a reliable system for remembering what you learn. 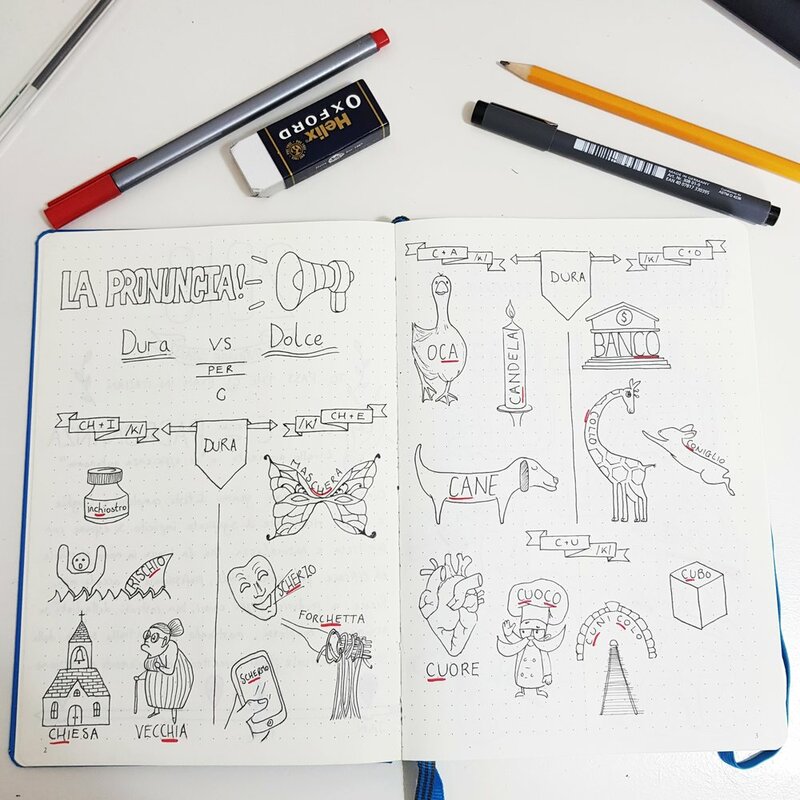 If you have a creative side you’d like to unleash, your language learning notebook is a welcome new playground. Kathryn and Sam already loved drawing, design and papercrafts. 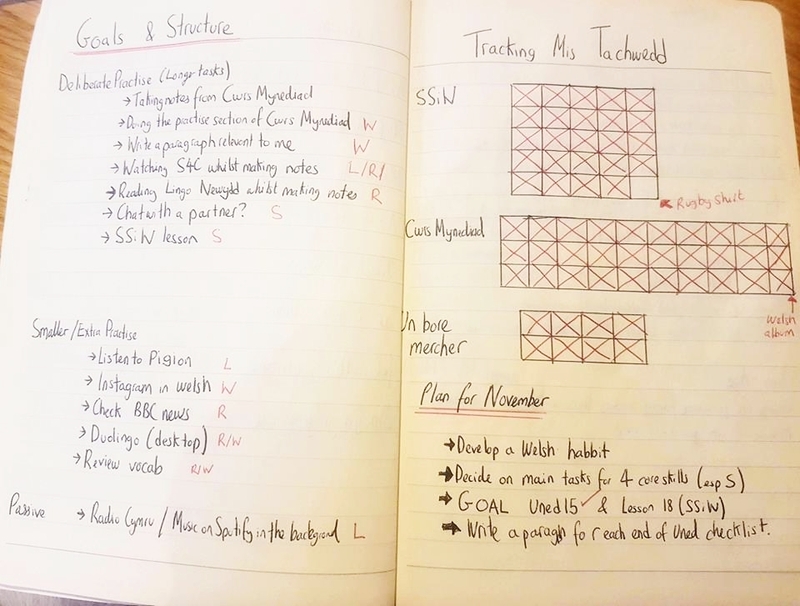 The language notebook became a way of adding language to what they enjoy, and it has helped create time to combine two great hobbies. Learning online gives you access to infinite materials, but sometimes it’s hard to remember everything that you see. 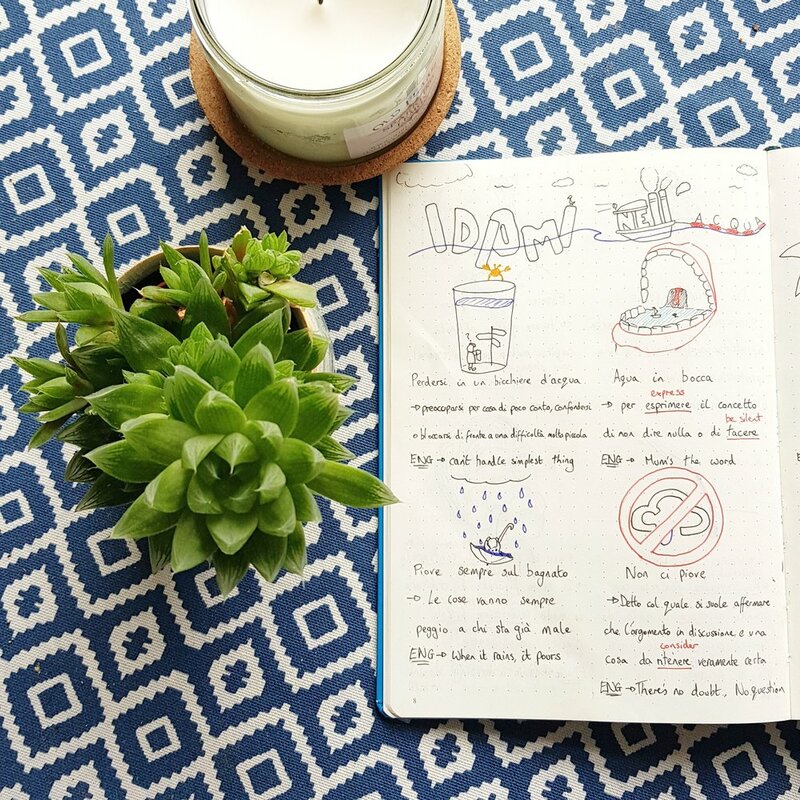 The notebook becomes your place to capture the coolest bits you find on the web, the new words you learn from an app, everything you find in your personal language learning world. 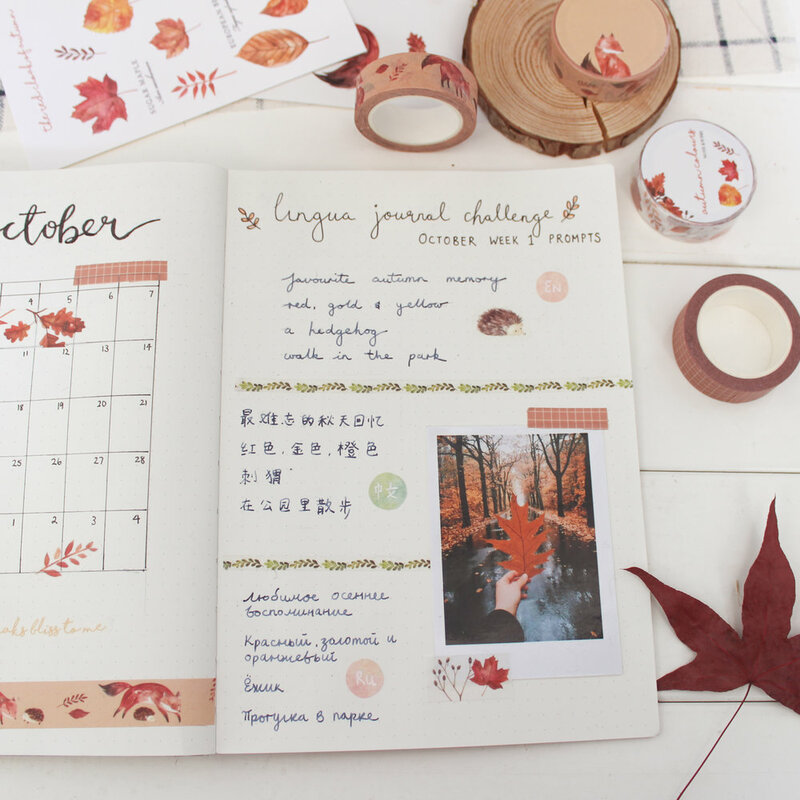 What Can You Write In The Notebook?